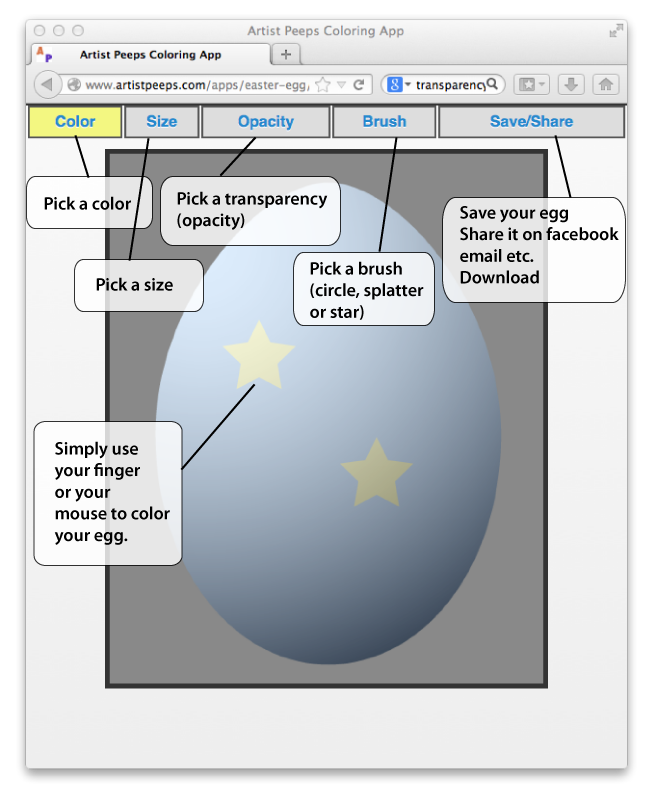 Try my latest invention… the Easter Egg coloring web app. 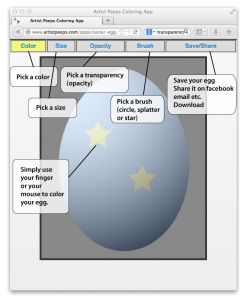 Color the egg easily with your finger or mouse. Then save, share on facebook, google +, twitter, email etc. You can also download and print your egg. It will also be added to the egg gallery for others to admire. This is a Web App. No need to download anything.